Media Release: Advanced Australian manufacturer, REDARC Electronics is excited to unveil the next release of their award-winning Total Vehicle Management System; RedVision, which is now available to the aftermarket through their distribution channels. RedVision sets a new level of automation in the RV and 4WD industry. RedVision allows users to control multiple on-board devices, such as turning lights, inverters, water pumps and other loads such as air compressors, televisions, electric steps and fridges on or off. It also provides the user with the ability to monitor water levels, temperature, energy (battery power) consumption and storage, with battery information available when paired with a Manager30 or Manager15. RedVision is able to evolve and adapt to the customer’s ever-changing needs, providing them with the ability to easily customise their vehicle’s electrical devices and accessories as they see fit. Customers can now take full control of their device inputs, output channels and control logic using the new RedVision Configurator Smartphone App. System operation is further simplified by allowing the user to select the soft key icons on the RedVision display and the corresponding RedVision User App. The RedVision Configurator App automatically saves a new configuration each time the user makes a change, making it easy to go back to the previous configuration in the event that a mistake is made. Using the same RedVision Configurator App, installers can program functions for a particular model or range of vehicles or vans and simply load it over and over again or easily customise functions for a specific customer requirement. “Since its launch, we have received increased demand for an aftermarket version of the product and we’re really pleased we can now offer it to a wider market”, said National Sales and Marketing Manager, Ben Marsh. RedVision will now also carry the hardware and firmware required to monitor up to 6 water tanks. 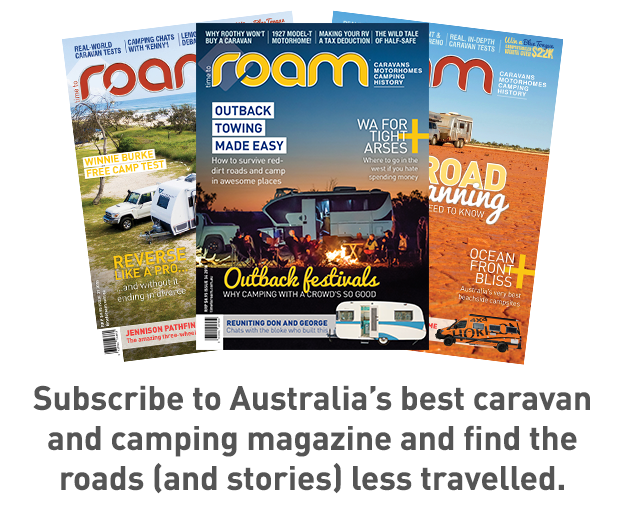 Previously, RedVision had the ability to monitor two water tanks, which is sufficient for smaller camper trailers and caravans, however the ability to update RedVision to monitor 6 water tanks has always been part of the product roadmap. “That’s the beauty of having RedVision, it makes it easy to consistently make updates and configurations based on customer feedback and needs. “Now larger caravan manufacturer’s will be able to carry RedVision which will ultimately benefit the end customer”, said Ben Marsh. 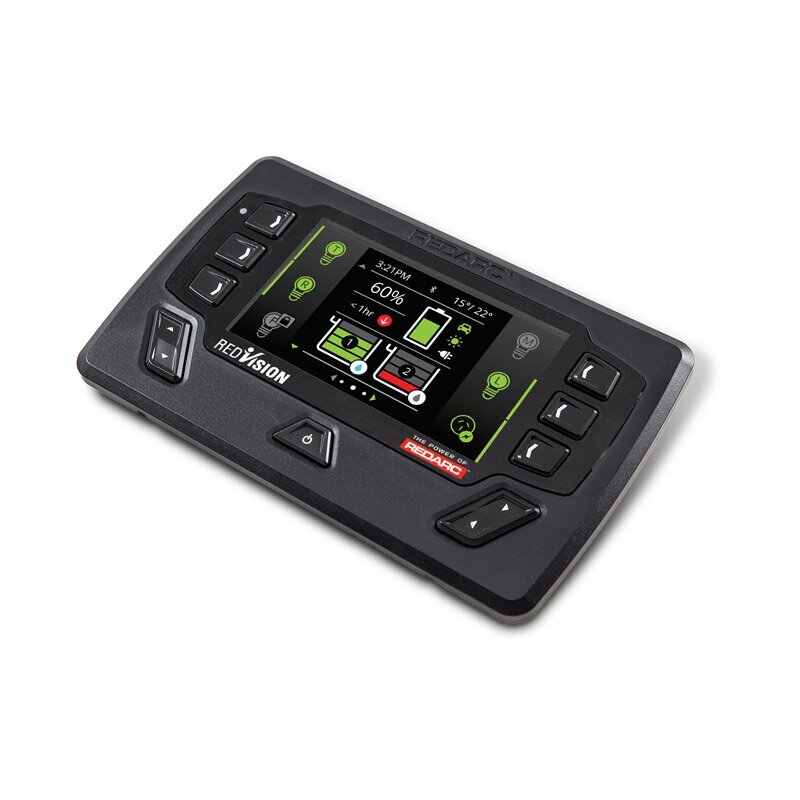 RedVision comes equipped with an In-vehicle mounted display and Bring Your Own Device ‘BYOD’ Smartphone iOS or Android RedVision User App that features the control and monitoring of many functions in a camper, caravan, motorhome and now in vehicles, all in one place. Both, encompass REDARC’s expertise in innovations, continual investment into R&D and dedication to manufacturing quality products globally. The RedVision graphical display is the main user interface which is a robust full colour LCD display has been built and tested to withstand Australia’s tough, rugged and varied environmental conditions. 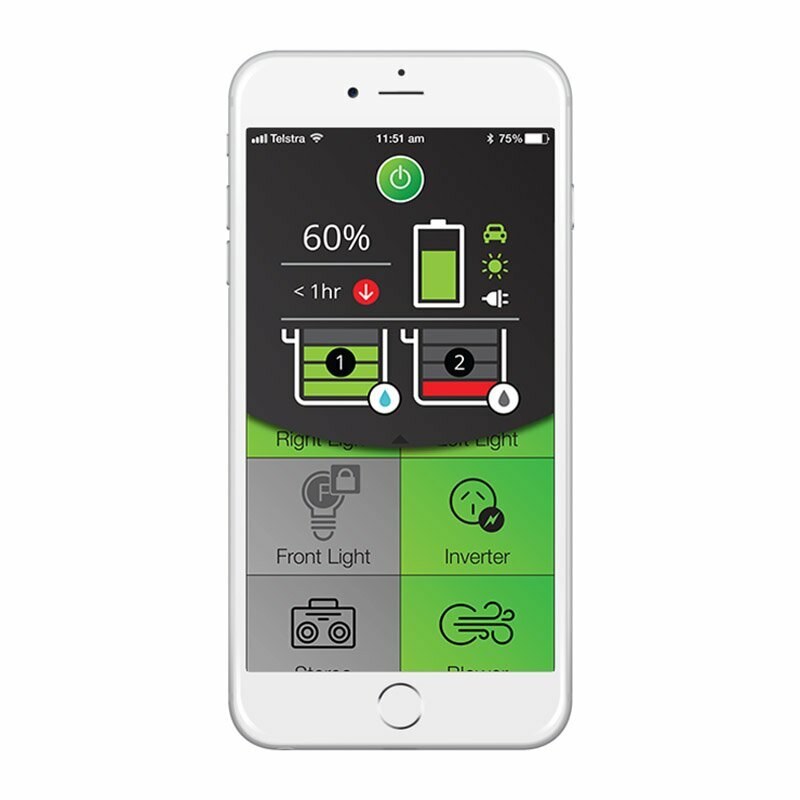 The RedVision User App provides extra convenience allowing users to monitor and control their system wirelessly from their mobile phone via Bluetooth. RedVision simplifies installation thanks to its simple connections and CAN Architecture, which requires less wiring, crimping and fusing of components. With multiple systems combined into one screen or a wireless device the end user will benefit from its easy-to-use system integration. RedVision was launched earlier last year to much acclaim and in May was named a Good Design Award Winner for 2018 by Good Design Australia. 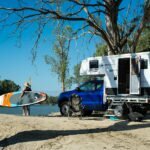 Further to this, RedVision was also featured in the winning entry for Camper Trailer of the Year 2018 with Patriot Campers.